At Thermal Building Concepts we believe insulation must perform, not by itself, but as a system in the entire building assembly. Conventional R-Value testing only measures how insulation products perform by themselves. 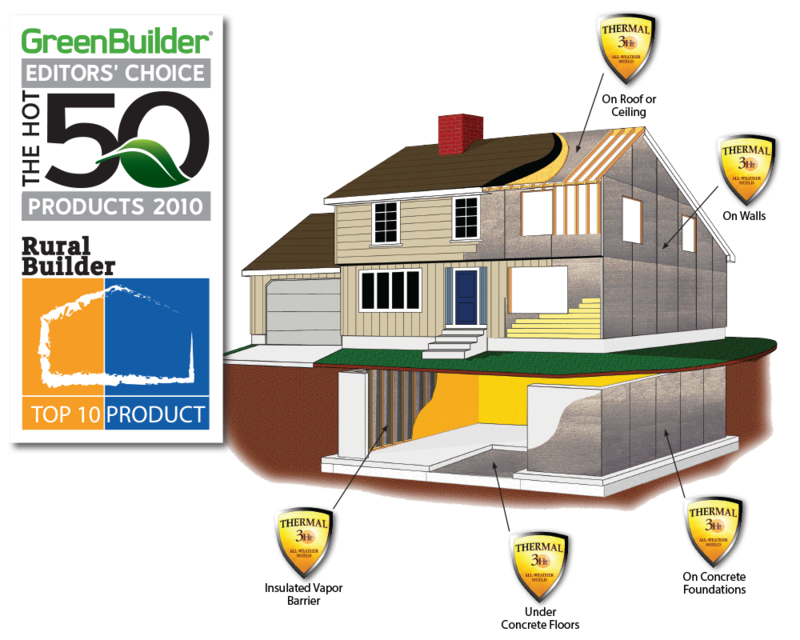 Factors such as wind, moisture, air movement, and building components like wood and metal framing members, sheet rock, OSB, etc. are not considered in conventional R-Value testing. Thermal 3Ht Insulation's extensive ASTM testing considers the "Real World" performance of insulation products in actual wall assemblies. In many tested wall assemblies Thermal 3Ht Insulation on its own and/or combined with fiberglass insulation improved the overall R-value performance by over 100%. After all, what's most important to you; the R-value of an insulation product in a laboratory? Or the actual R-value performance of a complete wall assembly in simulated "Real World" conditions? Thermal 3Ht insulation is a cost effective and efficient insulation system which addresses all mechanisms of heat transfer. In one product, Thermal 3Ht insulation is an air and vapor barrier, a radiant barrier and an insulator. Thermal 3Ht insulation is lightweight, non-toxic and easy to install. It does not irritate the skin and requires no special equipment or clothing. Thermal 3Ht insulation eliminates cold and hot spots in any building. Thermal 3Ht insulation helps distribute heat evenly; consequently, buildings are more comfortable at lower room temperatures. Thermal 3Ht insulation allows thermostats to be set 2 to 4 degrees lower than buildings which utilize conventional insulation products. 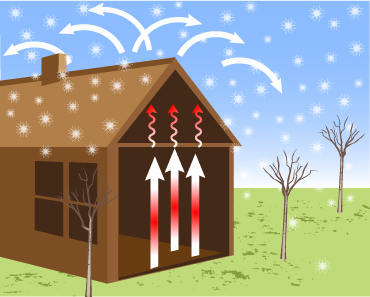 This results in added comfort with less heat-loss (winter) or heat-gain (summer) i.e. Greater Energy Savings. Thermal 3Ht insulation virtually eliminates moisture and air infiltration. Thermal 3Ht insulation reflects radiant energy back to its source. 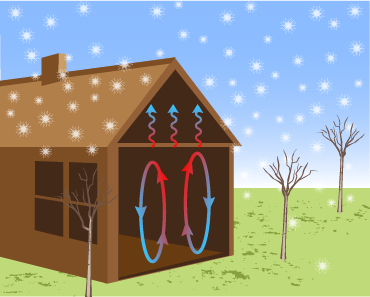 This allows buildings to be cooler in the summer and warmer in the winter. Thermal 3Ht insulation is an effective stand-alone insulation product or may be combined with other insulation products. 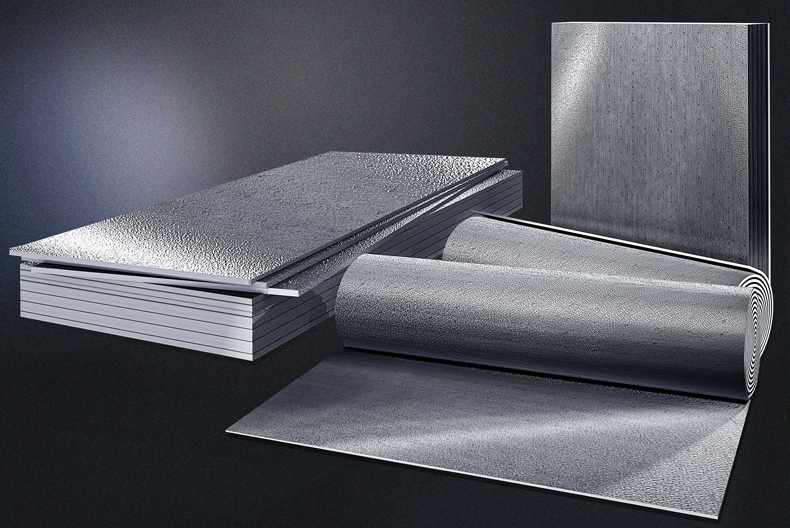 Thermal 3Ht insulation is available in panels/boards, rolls and accordion fold. Thermal 3Ht insulation is the ultimate way to keep your home or building comfortable and energy efficient. is the transfer of energy through matter. It is most effective in solids, but can happen in fluids. Example: hot element on a stove. In building assemblies heat transfer by conduction occurs through cavity insulation, framing members, interior and exterior sheathing. is the transfer of heat energy in a gas or liquid by movement of warmed air. Example: steam from a pot of boiling water. Since warm air is naturally displaced by cold air, convection within wall and ceiling cavities is a major contributor to energy loss in buildings. is energy transferred by infrared waves through space. Examples: heat from the sun or warmth from a campfire. Radiation is absorbed by solid surfaces such as shingles, wood and concrete. 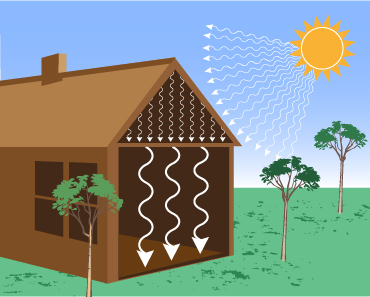 During the winter, typically 50-75% of heat loss in buildings is a result of radiation and 93% of the heat gain in the summer is due to radiant energy from the sun. In the summer once a building's walls, roof and attic have reached their capacity for holding heat, the heat is then radiated to the cooler interior surfaces of the building. In the winter, the opposite occurs. The heat from the inside of the building is then radiated to the cooler exterior walls of the building and is transferred through the walls towards the cold air outside the building. 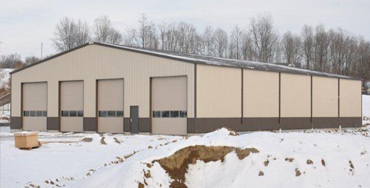 Pre-engineered steel building in Millersburg, Ohio erected in two weeks from start to finish. 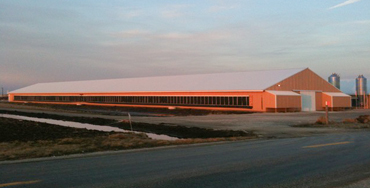 One of seventeen turkey barns built in the North central part of the United States. 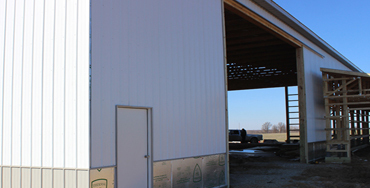 Post and frame building installation in Indiana. 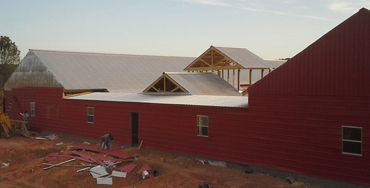 Large double hen house facility constructed in Kosciusko, Mississippi. 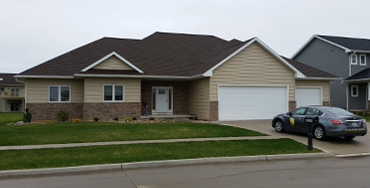 Residential home built in Iowa. 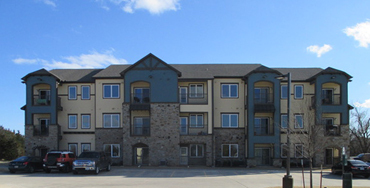 A very efficient apartment complex completed in Oklahoma. At Thermal Building Concepts, we believe insulation must perform, not by itself, but as part of a system in the entire building assembly. Please visit us at our HQ for a mean cup of coffee and a fantastic consulting team.